- Select Option -250 lb.300 lb.400 lb.500 lb. 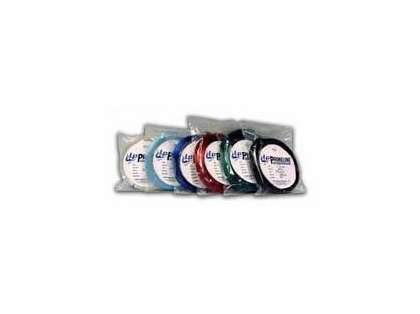 Lindgren-Pitman LP Primeline Monofilament Fishing Line is designed and manufactured specifically for use on outriggers and leaders for large pelagic species including tuna and billfish. Advanced technology by Lindgren-Pitman provides exceptional stretch, strength, resistance, and tolerance to surface wear from large fish. Lindgren-Pitman�s high quality leader material is available in clear, light blue, dark blue, red, green, and black, which allows anglers to match their leader material to their given application or preferences. Bought the line in clear for making decoy lines. Easy to cut to length and works great. This product stands true. Perfect for riggin up my shark leaders. Packaged and labeled nice! I use it for my green stick main line. Small enough diameter paired with strong breaking strength. Can also be used as blue marlin leader. ProsCan lift a fat chick with it if you need to. ConsCannot lift a really really fat chick. This is an awesome product, fished with it many times and have never had shark cut through it. It crimps very nicely and it�€™s hard to fray or kink. Use the 500lb to build my shark leaders, great line and visible enough for partner to find in dark yo leader the shark on beach. This line is perfect for making planer lines. Comes in many colors to chose from and is much thicker then other mono lines of same lbs test. Very strong and durable. Got 3 years no issues out of the last planer lines I made from this line. This stuff is great for planer tow lines and also for down riggers. It comes in various colors to include red which is great for planer tow lines. This stuff is very strong and durable.